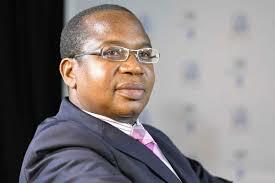 THE Government will soon set up an interim committee to oversee and promote efficient management of foreign currency inflows, the Minister of Finance and Economic Development, Professor Mthuli Ncube, has said. Presenting the 2019 National Budget Statement in Parliament last Thursday, Prof Ncube said the move was necessitated by the need to ensure that there is an efficient and optimal foreign currency allocation system by the Reserve Bank of Zimbabwe. RBZ recently came up with a foreign currency allocation framework guided by import priorities for the country. The framework has however, been criticised by some businesses who claim their operations are not adequately supported. “Going forward, there will be gradual movement towards a more efficient and optimal foreign currency allocation system. Indeed, this budget is consolidating the value preservation roadmap through macro-fiscal consolidation measures. In the interim, steps are being taken to establish a foreign currency allocation committee to promote efficient management of our foreign currency inflows,” he said. Fuel and electricity are high priorities in terms of foreign currency allocations in Zimbabwe given their centrality to the business in general and Government’s industrialisation agenda. Prof Ncube said for the country’s economy to stabilise, the Government should build adequate foreign currency reserves, including gold reserves which would anchor for preservation of exchange value. “The stability we have set to achieve over the immediate future will require that we build adequate foreign currency reserves, including gold reserves, that way providing anchor for preservation of exchange value,” he said. The Government has proposed the establishment of a foreign currency utilisation monitoring mechanism to monitor companies that receive foreign currency from the central bank. Addressing a recent Press briefing after the Cabinet meeting, Information, Publicity and Broadcasting Services Minister Monica Mutsvangwa said although the supply of goods in the market was stabilising, the Government was concerned that the prices were still too high and that some companies, particularly pharmaceuticals were still demanding payment of their goods in hard currency. She said the Cabinet resolved that a foreign currency utilisation monitoring mechanism be created to monitor those companies that are receiving foreign currency.